Relationships with God, and each other, and the supernatural ability to hear our brother’s blood cry from the ground are primal gifts we should strive to possess…. Listen to your brother’s blood, and the survivors of our brothers’ blood who have bled under the altar of Evil, and have gone before us…..
13:1 “Everyone must submit himself to the governing authorities, for there is no authority except that which God has established. The authorities that exist have been established by God. 2 Consequently, he who rebels against the authority is rebelling against what God has instituted, and those who do so will bring judgment on themselves. 3 For rulers hold no terror for those who do right, but for those who do wrong. Do you want to be free from fear of the one in authority? Then do what is right and he will commend you. 4 For he is God’s servant to do you good. But if you do wrong, be afraid, for he does not bear the sword for nothing. He is God’s servant, an agent of wrath to bring punishment on the wrongdoer. 5 Therefore, it is necessary to submit to the authorities, not only because of possible punishment but also because of conscience. I deliberately did not quote this verse in context, but let us be sure we obey perfectly, God, that is, not men, and let us certainly not think of ourselves as better…. For those who believe in overcoming evil with good, falsehood with truth, and hatred with love, of any religion, system, or creed, I wrote the following to one of my friends… Do we need to “take sides,” or take the side of overcoming evil with good, falsehood with truth, and hatred with love, as Peace Pilgrim proclaimed? “All I am saying is it is just a terrible mess when anyone attempts to overcome evil with more evil, violence with more violence, falsehood with more falsehood, hatred with more hatred… On either side of this, and on all sides of everything, resorting to the Myth of Redemptive Violence is the way of the world since Cain killed Able, and has never “worked,” although mankind keeps trying it over and over and over again and again in place of the clear Godly Gospel message which includes overcoming Evil with Good, as Jesus did on the cross… This message of the cross is the central focus point to solve the world’s problems. We can view the amazing contributions of human intelligence to our society. We can drive our automobiles, fly to other nations 24,000 miles away, and connect instantly with virtually anyone on earth who has internet service, or a phone, and on, and on. However, since the days mankind tamed the horse, invented the wheel and used the wheel to carry back spoils won in warfare from our perceived enemy, we cannot yet seem to understand how to win the peace. We cannot understand how to implement, not weapons of war, but to implement instruments of peace, such as the simple but complex principle of how we can love our enemy. We can win the Nobel Peace prize, yet in our acceptance speeches speak of the ethics of preemptive warfare and claim allegiance to them. Why not explore and discuss preemptive theories of conflict resolution, not preemptive war? Are we merely slaves to principalities and powers who rule over us in a spiritual realm? Do we serve these powers as a result of our failure to believe in and practice ethics based upon the roots of Judeo-Christian historical evidence? In the same vein, although this presents a logical challenge to Biblical inerrancy, just as Jesus challenges divorce as being normative for humanity, I believe that from the beginning mankind (all mankind, not just Christians or Jews, since there were no Christians or Jews from the beginning) was created good, by God, in the image of God, to live peacefully with one another, nonviolently. To understand the exegetical difficulties of just a few strange and alien Scriptures, and to hold them in tension, we need to view them through the eyes of Jesus. We intend to provide fresh insight into generally overlooked, and generally rejected, Judaeo-Christian roots of the Gospel of Peace as a method of conflict resolution firstly between God and man and secondly between man and man, looking to the Old Covenant for those roots and examining the predominant roots of the New Covenant Gospel of Peace revealed by and in Jesus whom Christians believe to be “the image of the invisible God”, (Col. 1:15) and the “exact and complete revelation” of God. In our discussion we will be examining the following principles which we will argue will preemptively, if understood, transform human lives into a non-denominational, apolitical, ethic of a peaceful, non-violent proactive lifestyle, which creates the type of human soil in which conflict of nations and conflict of individuals cannot grow. We will be examining principles revealed millennia ago which, to our knowledge have not been applied by nations, governments, or seldom even religions of this world, or generally speaking by humans living on earth to the problems of conflict and war. We will firstly list these peaceful and harmonious beliefs before discussing them individually in more detail. We Believe we are dressers and keepers and that we humans are created to be the most valuable asset in our world for the purpose of taking care of this world and all life, plant, animal, and human, within it. We Believe and act on the premise that we are our brother’s keepers. We Believe and act as if we humans are created in the image of God. We Believe the root principle of the Old Covenant, that we are to love God, and to love man, is applicable to preemptive conflict resolution. We Believe the root principle of the New Covenant, the new command Jesus gave to transcend the nationalism to the old, “to love one another as I have loved you” will resolve conflict. We Believe that “love your enemies” will complete our transformation as beings created in God’s image and make us into real, actual, everlasting children of God who have no bones of conflict in our being. Faith is required just as Faith has always been required. God Believed Mankind into being and called upon mankind to believe what he commanded for harmonious relationships with himself, and with all those who he created into existence in his image. In all our discussions we must also recognize that from the origins of mankind in Genesis to the final resolution of conflict in the book of Revelation, which conflict is consummated and dissolved by Jesus riding a white horse dipped in blood (Rev. 19) (which is Jesus own blood,) that from Genesis to Revelation we are urged to war and conflict by fallen powers which must be defeated and transformed before the peaceable kingdom of God is fulfilled and fully established. Mankind was not created to be warriors. Being a warrior must be learned from fallen powers proclaiming myths of redemptive violence. Who taught us to be violent warriors? It is our understanding that it is God who desires us to be Peacemakers and wants us to call us his children. 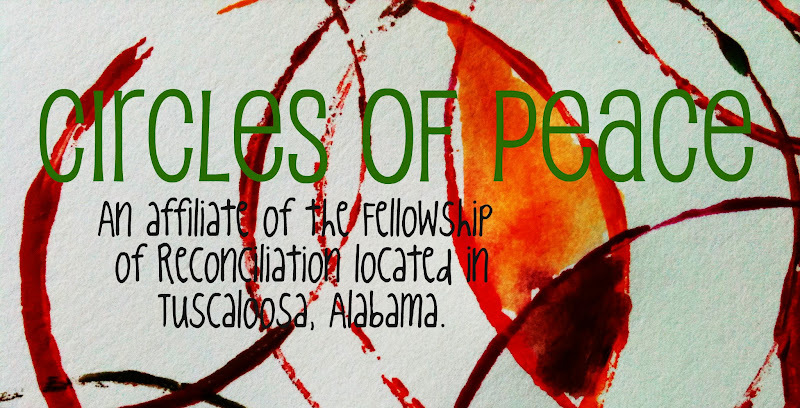 Our understanding of the Gospel of Peace will be magnified as we examine ancient Judaeo-Christian principles. This is the end of first section to post on jcooperforpeace.org. Other installments will follow.